Amazon has had a long history of commitment to Ireland. After first opening an office in Ireland in September 2004, Amazon extended its commitment, and investment in the country, and in April 2006 opened a Customer Service Center in Cork. The Customer Service Centre spans over 47,500 square feet and employs more than 1,000 people in a variety of roles from Instructional Designers and Support Engineers, to Operations Managers and Capacity Planners. In November 2007, AWS launched an infrastructure Region in Ireland. Since then AWS has grown the numberof staff and the diversity of their roles. AWS now has highly skilled staff and teams of Account Managers, Datacenter Engineers, Logistics Managers, Mechanical Technicians, Professional Services, Security Specialists, Solutions Architects, Support Engineers, Technical Account Managers, and Trainers based in Dublin. These teams are working with customers in every vertical, with almost every imaginable use case. Today our teams in Ireland engineer new technologies to support Amazon’s businesses including our retail operations, customer services, seller services, devices (including Kindle), and AWS. There are currently more than 2,500 Amazon employees across Ireland, with more than 1,000 supporting AWS. Amazon is continuing to recruit additional talent to support our growth in Ireland. In 2014, Amazon announced the creation of 300 new jobs in Ireland. In May 2016, the company announced it would be adding a further 500 new, highly-skilled jobs in Dublin over the next two years. Today, we continue to grow in Ireland with a new 170,000 square foot modern office building opening in Dublin to support our growing workforce. "Amazon has established itself as a very significant employer in Ireland and contributes to our goal of building a sustainable economy based on innovation. The company's expansion here is a fine illustration of our position as a world class driving force in new technologies. Creating so many new jobs, as announced today, and having such a solid presence in both Dublin and Cork, makes this company a key player for us in developing the knowledge-based sector in Ireland. It is admirable to have such a cutting edge company pushing out the new boundaries and being able to find the talent to do so in Ireland." Amazon Web Services (AWS) is a secure cloud services platform, offering compute power, database, storage, content delivery and other functionalities to help businesses scale and grow. Everyday AWS is used by millions of customers around the world, including here in Ireland. Irish start-ups such as CurrencyFair, Logentries, LogoGrab, Swrve, Teamwork, and XtremePush, as well as established businesses and enterprises, such as AON Centre for Innovation and Analytics (ACIA), Fineos, Dun & Bradstreet (D&B), OpenJaw, and Trust5, are all using AWS to build their businesses. Education institutes, such as Institute Technology Tallaght (ITT), and academics, not-for-profits, and government departments are also leveraging AWS to innovate. ITT has also become the first college in Ireland to deliver the AWS Academy program, which helps students develop technical expertise in cloud computing. Instead of buying, owning and maintaining their own data centers and servers, organizations can acquire technology such as compute power, storage, databases, and other services on an as-needed basis from AWS. With cloud computing, AWS manages and maintains the technology infrastructure in a secure environment and organizations access these resources via the Internet. Capacity can grow or shrink instantly, and organizations only pay for what they use. Something that is unique about AWS is the company is continually working to lower its cost structure which allows it to pass savings onto customers in the form of lower prices. AWS has now reduced prices 64 times with little competitive pressure to do so. As well as lowering costs, AWS is also constantly expanding the number of services it offers to customers. AWS now has more than 100 services that range from compute, storage, and networking, to database, analytics, application services, deployment, management, developer, mobile, Internet of Things (IoT), Artificial Intelligence (AI), security, hybrid and enterprise applications. To deliver cloud computing, AWS builds its infrastructure into Regions and Availability Zones ("AZs"). A Region is a physical location in the world where the technology services are geographically located. Regions are then made up of what AWS calls Availability Zones. Availability Zones consist of one or more discrete data centers, each with redundant power, networking and connectivity, housed in separate facilities. These Availability Zones provide customers the ability to operate production applications and databases which are more highly available, fault-tolerant and scalable than would be possible from a single data center. As a result, Availability Zones are designed in such a way that if in the unlikely event one Availability Zones were to fail, the other Availability Zones would continue to function normally. Today AWS has 54 Availability Zones across 18 geographic Regions around the world, with announced plans for 12 more Availability Zones and four more Regions in Bahrain, Hong Kong SAR, Sweden, and a second AWS GovCloud Region in the US coming online between now and early 2019. 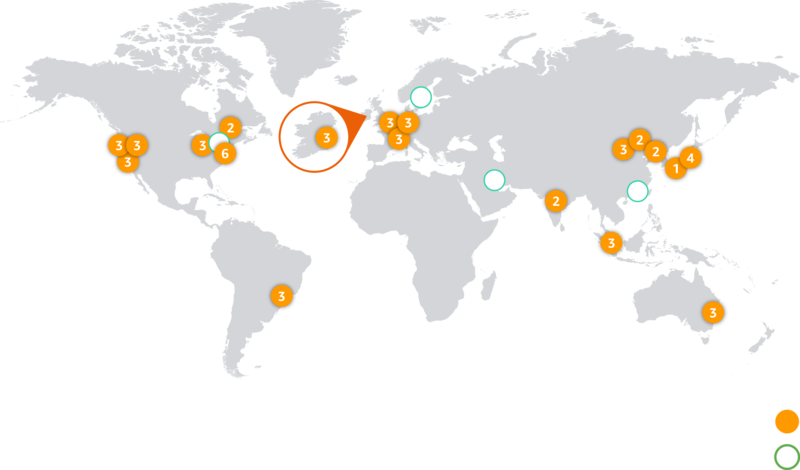 The AWS Region in Ireland is the AWS EU (Ireland) Region, and it has three Availability Zones each consisting of multiple data centers. Customers using the AWS EU (Ireland) Region include mytaxi a leading app for ordering taxis and Netflix the online streaming service. Other customers include the Berlin Philharmonic, Expedia, iZettle, The Weather Company, Travis Perkins and WOW air. Amazon is committed to creating lasting benefits and helping Ireland become a leader in the information technology sector. AWS has brought the AWS Educate program to the country, supporting tertiary institutes such as the Dublin Institute of Technology, Dublin City University, and the University of Limerick to provide students and educators with technology and training resources, at no charge, to accelerate cloud-related learning and help education institutes leverage cloud computing. AWS has also brought AWS Activate to Ireland, a program for startups which gives them access to guidance and 1:1 time with AWS experts, as well as web-based training, self-paced labs, customer support, third-party offers and up to USD 100,000 in AWS service credits - all at no charge. AWS's Dublin based team also donates their own time to run CoderDojos, free computer programming clubs, to help educate young people in Dublin on coding and computer sciences. This and other activities we have taken part in has helped to support job growth across the country. It is incredible to think of our County Town, Tallaght, being a key part of the information technology system that drives our world, being home to and part of Amazon. As an outward looking country we welcome Amazon to our community and to the role you play in making our town, our county , our country a better place to be. Amazon Web Services is helping Irish entrepreneurs and start-ups with AWS Activate, a free to join program designed to provide startups with the resources needed to get started quickly and easily on AWS. Resources may include AWS Promotional Credit, AWS Support, and AWS Training. AWS is working with all the main incubators and accelerators in Ireland including SOSV, Frontline, NDRC, Dogpatch Labs, and Enterprise Ireland, to help their start-ups flourish within the AWS cloud. AWS Academy targets post-secondary institutions exclusively and offers an end-to-end curriculum, developed and maintained by AWS. It is designed to be delivered over a semester by AWS Academy Accredited Instructors. AWS is working with the likes of the Institute of Technology Tallaght, Dublin Institute of Technology, Cork Institute of Technology, Limerick Institute of Technology, and Waterford Institute of Technology. 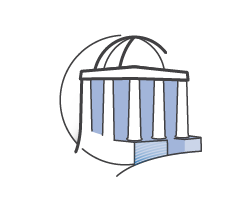 The AWS Educate program is designed for educators to quickly and easily find cloud-related course content, incorporate cloud technology into their teaching curriculum, and provide students with hands-on experience with cloud technology. AWS Educate is a membership-based program for post-secondary students, educators and institutions that offer AWS Promotional Credits, cloud career pathways with curated learning content, collaboration tools, and access to selected AWS Training and the AWS Educate Job Board. The AWS Educate Job Board includes entry-level cloud jobs from global employers and companies. Students can search for jobs, and apply for positions available in 47 countries, including Ireland. Irish institutions that are members of AWS Educate include The National College of Ireland, The Dublin Institute of Technology, Waterford Institute of Technology, Dublin City University, Institute of Technology of Sligo, Letterkenny Institute of Technology, and the Cork Institute of Technology. AWS regularly hosts AWSome Days across Ireland. AWSome Days are free, one-day training events delivered by AWS technical instructors for those that are new to the cloud. Attendees have the option of attending either a technical or business track. During the technical track, attendees will learn about AWS's foundational services such as Amazon EC2, Amazon S3, and Amazon RDS, as well as get an introduction to AWS deployment tools and techniques. The business track will explore topics like cost optimization, security, and compliance. AWS technology is helping Irish organisations, as they grow and expand across Europe and around the world. Aon’s Centres for Innovation and Analytics (ACIA) adopted an AWS cloud-first strategy and launched their flagship risk and review product: Global Risk Insights Platform (GRIP) on AWS. GRIP is one of the world’s largest repositories of risk and insurance placement information. Using AWS, GRIP can safely and responsibly analyse millions of data points from across the world to identify innovative new products and to provide impactful, fact-based market insights to Aon’s brokers, carriers, and clients. ACIA, established in 2009, is based in Dublin and Singapore. CADFEM specialises in computer-aided engineering (CAE) for a range of sectors, including companies working in renewable energy, aerospace, and civil and mechanical engineering, and uses AWS to bolster its internal compute resources to create better products faster, and more cost-effectively. Clavis Insight is a cloud-technology solution that measures and monitors how brands are represented in online retail stores. Clavis Insight has built their solution on AWS allowing them to go global from day one. Using AWS, Clavis Insight can scale to monitor and process hundreds of billions of product data points across 150 online retailers in over 20 countries. Currency Fairis using AWS to help them to exchange and transfer €100m+ on a monthly basis. The Dublin-based business which has more than 100,000 global customers, has facilitated more than €5 billion intransfers, saving their customers over €180m in the process; is a leading player in the new wave of Fintechstart-ups taking on the banks to provide a cheaper, faster way to transfer money internationally. Dun & Bradstreet (D&B)has one of the world’s largest commercial databases, with over 240 millioncompany records that are derived from 30,000 data sources and updated 5 million times per day. D&B areusing AWS to build products that allow users to access and derive insight from this incredible amount of data. Intercom, a messaging platform on a mission to make business personal was founded in 2012. Intercomis consolidating all services and data onto Amazon Web Services (AWS) to support the company’s rapidgrowth without the necessity of a large operations team. By going all-in on AWS, Intercom can keep real-timeconversations running at a consistent speed, with low latency, to serve customers better. Today more than25,000businesses use Intercom to connect with a billion people worldwide. Logentries is a Dublin based start-up that helps businesses to monitor their cloud infrastructure in real time. Since their launch in 2010 Logentries has seen rapid growth and building their business on AWS has enabled them to scale to serve more than 25,000 users in over 100 countries, and analyse over 11 billion log events per day. LogoGrab uses AWS for their data-storage backbone and to run their mission-critical computing tasks,enabling them to save significant DevOps time by focusing on their core image recognition offering.LogoGrab’s artificial intelligence technology detects logos in very large volumes of images and video, and istrusted by global brands such as eBay, Crimson Hexagon, Brandwatch, Nestlé, and Heineken to monetize andmonitor visual data. OpenJaw is moving its t-Retail platform which currently handles $3bn worth of transactions a year to AWS to reliably and securely scale for future global growth. Headquartered in Dublin OpenJaw is a travel tech company that delivers e-commerce technology to the world’s leading travel brands such as British Airways, Cathay Pacific, Iberia Airlines, Hainan Airlines, AIMIA, Loyalty One, Four Seasons, Avis, and Air Miles. Trust5, based in Dublin, develops applications and provides managed IT services for gaming companies andother enterprises. The company, founded in 2000 uses AWS as a platform to provide mobile billing solutionsto customers, and has, as a result, increased its business by 50 percent, expanded globally, and can scale toaccommodate any spike of 1,000 percent. Trust5 count EA Mobile, PopCap Games, Chillingo, Glu, Telefónica,Vodafone Group, Orange, Tesco Mobile, Bank of Ireland, Ulster Bank, Liverpool Football Club, and Irish Rugbyas customers. Zeto is an independent software company dedicated to allowing its users to manage any refrigerationequipment from anywhere in the world. Zeto uses AWS to power its Internet of Things and Big Datatechnology platforms in a scalable, reliable way. Using AWS, Zeto can monitor millions of real-time data pointsfor large international retail customers across hundreds of sites. AWS is committed to running our business in the most environmentally friendly way possible in Ireland and around the world. AWS publicly shared its commitment to sustainable energy in November 2014 when it announced a long-term goal to power the global AWS infrastructure with 100 percent renewable energy. AWS is progressing towards our goals by focusing on a number of areas. AWS is continuously working on waysto increase the energy efficiency of itsfacilities and equipment, innovatingthe design and manufacture of itsservers, storage, and networkingequipment to reduce energy use andimprove operational excellence as thebusiness grows. AWS works with its various power providers that supply AWS data centers around the world to increase the availability of renewables in their power supply. AWS has enabled wind and solar power projects to increase the overall amount of renewable energy available on the grids that supply power to AWS data centers. The renewable energy projects we’ve currently announced are expected to deliver ~2.6 million of MWh of renewable energy annually. In addition to addressing environmental risks, we also incorporate sustainability considerations into our data center design. AWS has a long-term commitment to use 100% renewable energy. When companies move to the AWS Cloud from on-premises infrastructure, they typically reduce carbon emissions by 88% because our data centers can offer environmental economies of scale. Organisations generally use 77% fewer servers, 84% less power, and tap into a 28% cleaner mix of solar and wind power in the AWS Cloud versus their own data centers.